We'd contacted them on a weekend when our AC had stopped working. Continental responded, very quick and had everything needed to repair our unit without trouble. I'd never hesitate to recommend them. 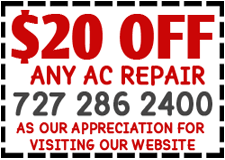 Secure your investment with routine maintenance including Seasonal check ups on your entire, air conditioning systems. This ensures peak performance and energy efficiency are maintained, throughout the year. Ask about our Low Cost Seasonal Check ups. The indoor air quality of your home can have major impact on your entire family's health and well being. Small tasks, such as routine replacement of air filters can keep out pesky allergens such as dust, pollen and pet dander. Everyone enjoys saving money! Regular maintenance, check ups and inspections throughout the year are highly recommended in order to do just that. Catch minor problems fast! This way, your less likely to incur major repair bills down the road.